We developed a new product over the past few years that is able to take the return feed of the BMD Atem mixers and extract the CCU and Tally information. This control is done with the CCU data that is normally used to control the BMD Ursa mini and BMD Studio cameras. For the Sony box we translate this CCU control data into the Sony 700 protocol to control the basic functions of the Sony camera. The box is powered by the Remote port of the Sony camera. 1 SDI return video is needed from the Atem to the RCU box for the control data from the Atem. 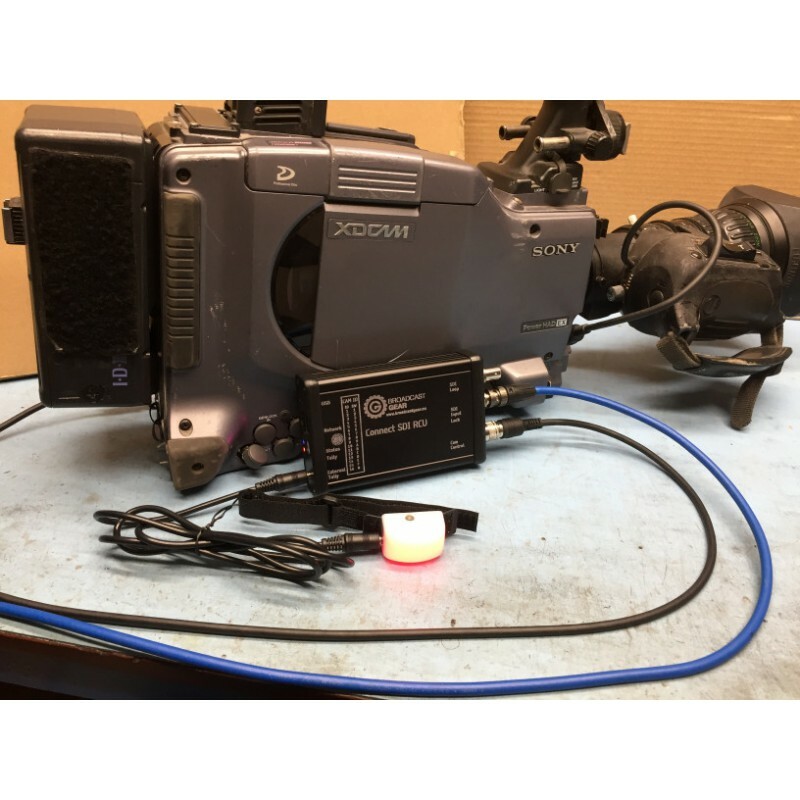 SDI loop out can be feed to a monitor for PGM return video for the camera operator. 16 Cam ID's select able by rotary switch. The cameras supported are from the Broadcast line of Sony. They need to have the 8pin Circular "Remote" connector and must support Sony 700 protocol. * Waiting for feedback of several clients to add other model cameras to this list. FS5 / FS7 is not supported!! 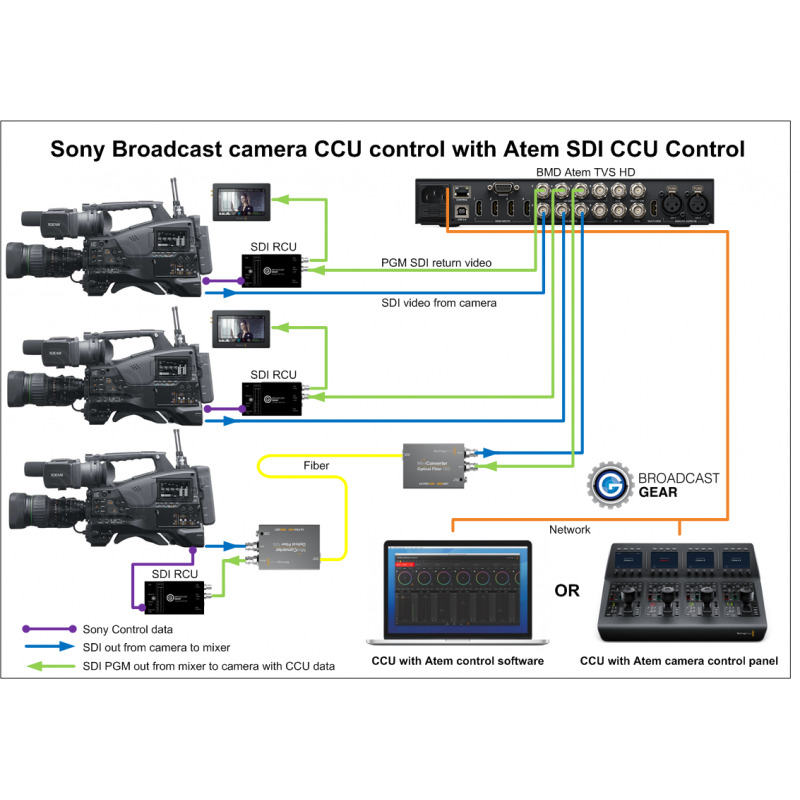 Sony decided to not give those cameras a CCU protocol. So we can not control those cameras. 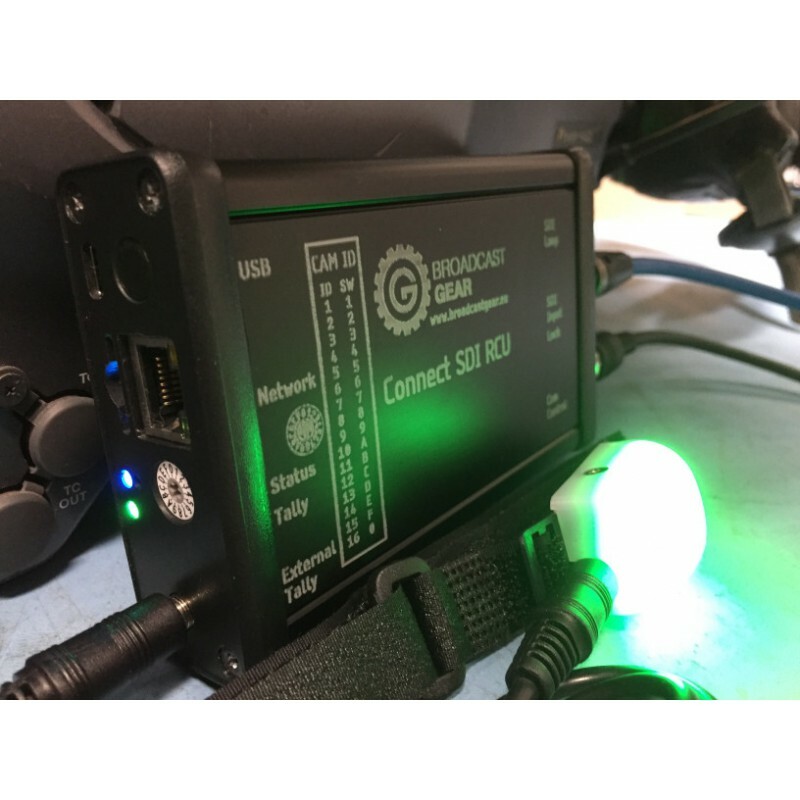 Connecting the box is simple like plug in your SDI return feed. Connect the control cable to the camera. Power-up the camera and the control will be activated. It can be run from a SDI return video and will also integrate easily with Fiber converters. ** The converter will accept HD-SDI and 3G-SDI. It can not run with 4K SDI. But we use this box also in a setup with an Atem 4ME Broadcast running 12G-SDI video. For this we have a special down converter that does 12G-SDI to 3G-SDI that keeps CCU, Tally and Audio data intact. If you need this in a 4K environment ask us for more information how to integrate this. Last edited by Xtreemtec on Wed Apr 17, 2019 9:03 am, edited 4 times in total. 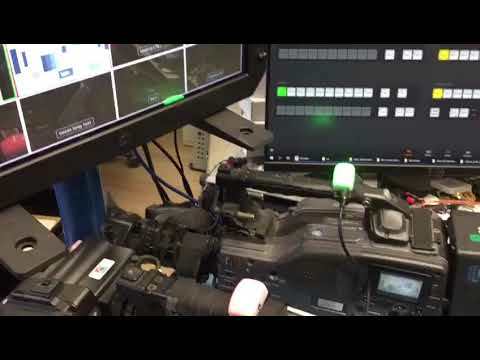 A quick iPhone video of 2 Sony cameras being controlled by the Atem CCU control. We will upload a better video soon. The software in this video was still a Beta release version. We are doing a few updates at the moment to work out small issues. very interesting... would it work with the Sony PTZs BRC-X1000 and BRC-H800 with VISCA over IP? We use a bunch of those and it would be great to be able to use the Blackmagic CCU panel for shading. Visca 422 for sure. This is something we have up and running for the lower end Sony PTZ cameras. I might look into the documentation as the higher range cameras have some more options / commands. I see the PMW-EX3 listed as compatible but untested, what about the EX1? Would the Datavideo TD-1 tally light also work? Roy the HXC-100 was confirmed by a user yesterday. So it's little brother HXC-D70 will work for sure. I will send you one when we have upped our stock again. Building 20 pieces at the moment. Oskar Signell wrote: I see the PMW-EX3 listed as compatible but untested, what about the EX1? Well as far as i could find Sony did not implement the 8 pin Remote connector onto the EX1. I guess because of cost saving. People that needed that feature could buy a EX3 they would have said that time. Oskar Signell wrote: Would the Datavideo TD-1 tally light also work? No. The TD1 is 5V while the TD-3 is 12V. So you would blow them up. But you could even build your own from bicycle lights if you want. Just add the proper resistors inline and it should work for your RED tally. Xtreemtec wrote: Visca 422 for sure. This is something we have up and running for the lower end Sony PTZ cameras. I might look into the documentation as the higher range cameras have some more options / commands. Would be great, we might be able to spare a Sony BRC-H800 for two weeks or so at some time if you needed one for testing/development (we're based in Vienna, Austria - should not be a big issue to ship one over). I am wondering though, to what degree the Blackmagic panel could be adjusted in any way to show correct values for the Sony camera. Aren't i.E. the gain value steps hard coded in the panel/the ATEM software controller? (I think now -6 db/-3db/0db ... to +12db). How did you solve this? It is a bit of a struggle but fast thumb rule, divide the original value by 2. We hope that BMD will add the other gain steps so it will become 3db steps. But until that time we can re-address the gain steps. There will be a config file on the SD card in the future so the user can decide what the steps are and other functions will be there or not. But that takes time to create.. So for this initial release it is fixed.